An HD Analog Dome CCTV Camera System is a great choice in protecting your assets. If you want a lower-key camera for indoors or out, the dome is the camera you should get. Having the security camera housed inside a dome also make it harder for people to determine which way the camera inside is pointing, giving it seemingly more coverage than it actually has. IMX323 mega HD image sensor, with high definition 1080P, AHD 1080P/ CVBS 960H output, effective resolution is up to 1920*1080. OSD menu supports 12 different languages; with DWDR/ defog function, strong light inhibition/ motion detection/ privacy protection, 2D/3D noise reduction function. Adopt Nextchip 2441H DSP, with OSD function (mirror image, color/ white-black, PAL/NTSC). AGC type, day-night effect is distinct, various day-night modes can be switched by OSD menu, built-in HOLD picture (freezing) function. Support UTC, 4-in-1, switched by OSD, Output LCD/CRT can be chosen and device name can be displayed by OSD. Power（600W）Video（2KV）dual-lightning protection design, OSP antioxidant PCB, size 32*38 dual-border. Have more questions about what a dome camera can do for you? Trying to decide between a bullet camera and a Dome camera? Talk to our experts! Call our Revlight Security CCTV Team today for a free consultation at +65 6678-6557. 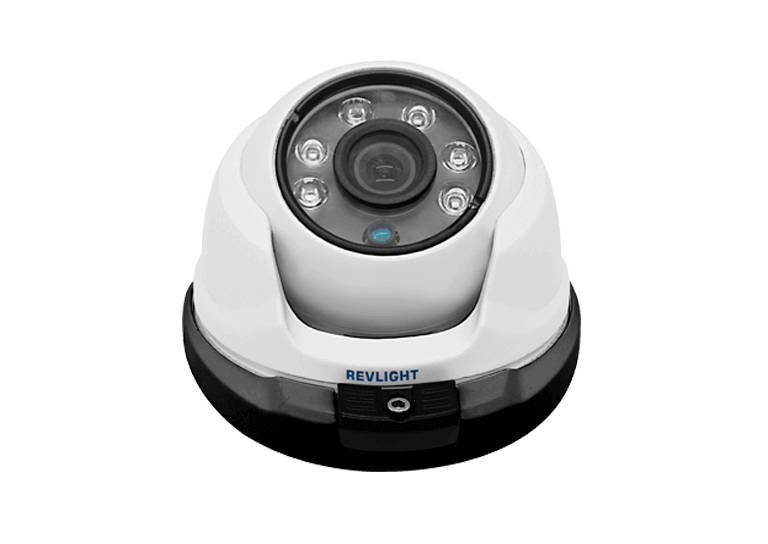 Revlight Security’s HD Analog Dome CCTV Camera System Delivers Great Video Right To Your Handheld. Our HD Analog Dome CCTV Camera, when paired with a Digital Video Recorder (DVR), gives you, the user, optimal functionality. Whether you are looking to protect a museum or your own personal business, a DVR gives you the ability to remain on the move knowing what’s happening at home base. Download the user-friendly app and tap into your camera system from anywhere at anytime.